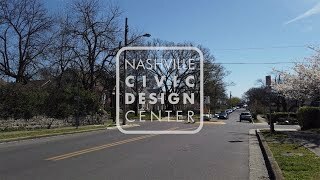 Join NCDC and Vanderbilt University students to learn about the possibilities for capping the interstate in Nashville, and the feasibility of the projects throughout the downtown loop. 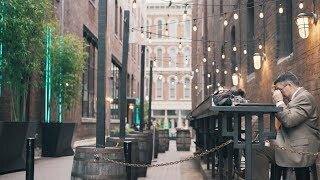 Great insight on changing job categories in our largest cities, and a caution to rapidly changing cities like Nashville. Join NCDC and Metro Parks for our "Meet Wharf Park" event series! The Nashville Farmers' Market invites the community to Night Market every THIRD Friday of the month from 5 - 9 pm featuring Market House restaurants and shops, local artisans, farmers and small businesses, live music, cash bar and family friendly activities. The events also highlight local non profits and organizations that are serving our community, this month it will feature Transit Now Nashville, Walk Bike Nashville, Transit Alliance of Middle Tennessee, Young Urbanists Nashville, and more! Prefabricated platforms are helping cities experiment with bus infrastructure, without spending so much time and money. Research finds a significant link between the walkability of a city and the health risk of the people who live there. Join the All Together Madison Steering Committee, Randall Gross, economic and strategic planning consultant & The Nashville Civic Design Center for a community wide visioning session focusing on future growth, development and quality of life in our dear Madison. Get your Ticket to Ride the Music City Star to Donelson! Learn about the Design Your Neighborhood + TURBO summer camp, sTURBO (Student Tactical Urbanism Organizers)! Part of NCDC's Reclaiming Public Space Initiative. Thank you for joining us at our 2018-2019 Annual Luncheon! Check out our presenting sponsor highlight video today!